Lelouch of the Rebellion Wallpaper: CG - "heibon na kyou" wo aishi hajimeta. Minitokyo »	Lelouch of the Rebellion Wallpapers » Lelouch of the Rebellion Wallpaper: CG - "heibon na kyou" wo aishi hajimeta. 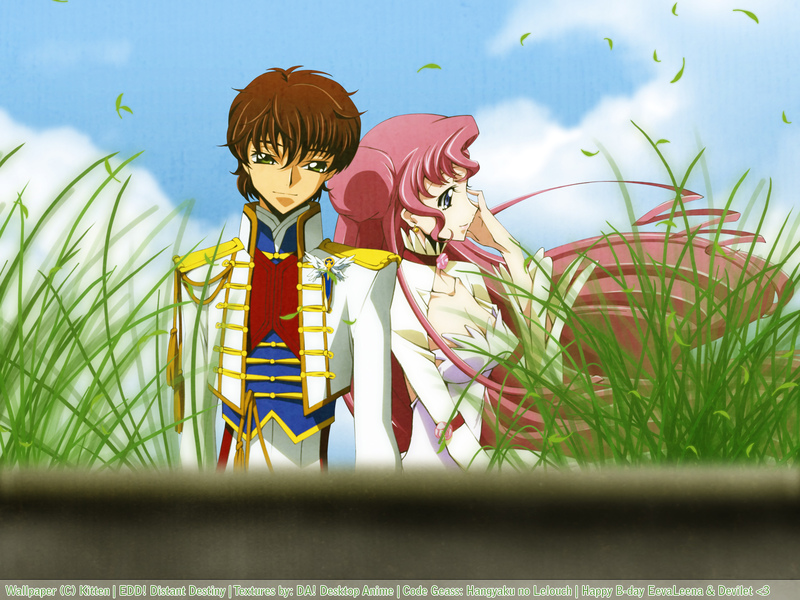 Title means: I began to love the "ordinary today"
Suzaku (I do too) and for Dev the peacefulness of Euphe. its beautiful and lovely. great extraction as well! The guy is a little blurry, but the grass is cool and I like the blurry thing in front. Gives the wall depth.